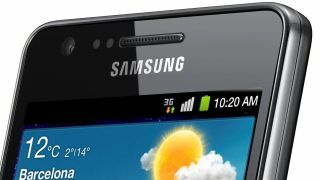 Samsung Galaxy S2 Ice Cream Sandwich update: when will I get it? Now Samsung has confirmed the Samsung Galaxy S2 Ice Cream Sandwich update is landing next week, here's our constantly updated hub of all information for the next level of Android on your flagship Samsung phone. The problem with Android updates is the process is so staggered, leading to consumers getting angry at the length of time it takes them to receive the next generation of software. Once Google throws out the source code to the manufacturers, it's up to them to divert resources to combining the latest version of Android with their hardware – this can take longer if there's a skin running atop the OS, as is the case with the Galaxy S2. And once that's complete, the likes of Vodafone and O2 then have to make sure there are no issues with the new firmware running with their networks – it may sound trivial, but you don't want something like this happening - so check below to see how long you'll be likely to wait for the next generation software to land on your Galaxy S2. Update: It looks like you need to plug your Galaxy S2 into your computer and access the Ice Cream Sandwich update via Kies. The update will not show up in the Settings > About phone > Software update > Update option on the handset.